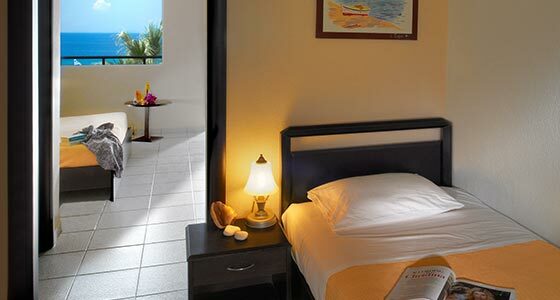 The Hotel offers 30 Double and 8 Superior rooms . All the 21-28 square meter Double room are designed for comfort and have a double bed, while the 36 square meter Superior rooms have a double and a single bed, with the capability of adding one extra bed. 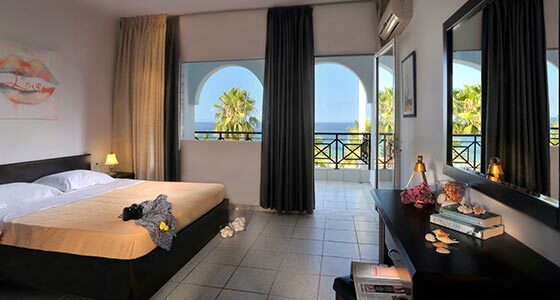 All the rooms have a view of the sea or pool, a bathroom with shower, air-conditioning, toiletries, telephone, satellite TV, refrigerator and Wi-Fi internet access. We’ll be delighted to warm welcome you!